After a week of mourning, New Zealand pauses for prayer this Friday. Thousands gathered in Christchurch to pay tribute to the 50 victims of the two mosques’ shooting. At least 5,000 people gathered in front of Al-Noor mosque this Friday, joined by Prime Minister Jacinda Ardern. Earlier this week, the PM announced that nearly all semi-automatic and assault rifles would be banned starting from April. New Zealanders multiplied ceremonials for the 50 victims. School pupils performed the Maori ceremonial haka earlier this week. 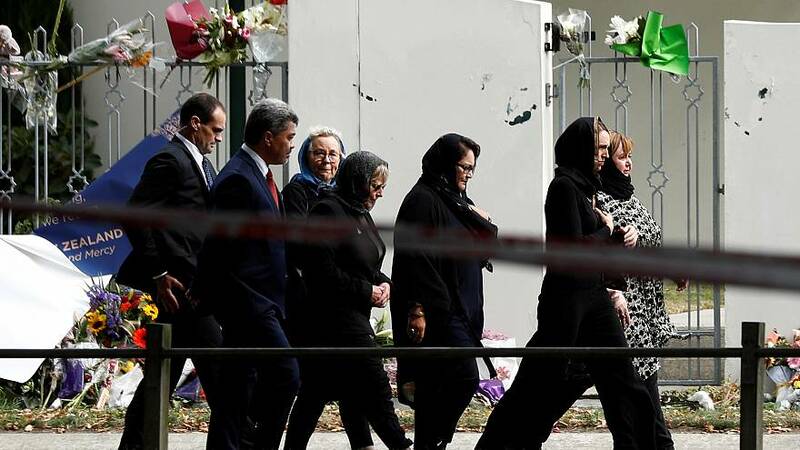 On March 21, Christchurch worshippers attended a multi-faith memorial service during which members from the Muslim community recited verses from the Quran alongside local pastors and chanting in Maori. All over New Zealand, minutes of silence have been held before the Friday afternoon prayer.